Our most anticipated trip to LA was cancelled almost at the last minute much to our my disappointment. With my annual leave already granted (a few months before)and our minds set to a few days away from the hustle and bustle of the city, we had to find an alternative place to spend a few days and unwind. A foreign travel was ruled out as it was a bit too late to book anything cheap, so we chose to staycation instead. The Jurassic Coast was our original plan as I've always wanted to see Durdle Door, but on second thought decided to go further southwest to Cornwall, which was an even better idea. 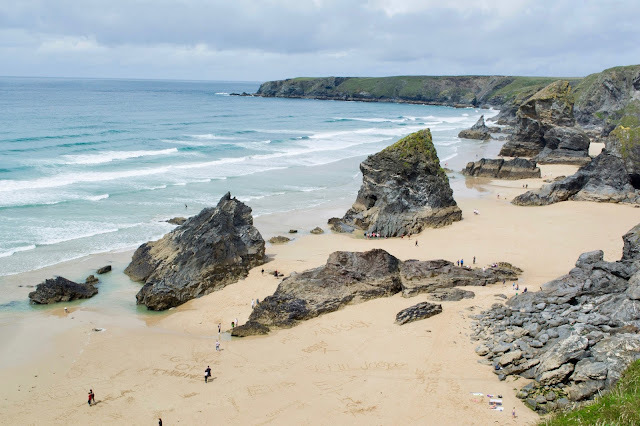 I have been to Cornwall at least three times before but actually not seen it the way I've seen it this time. Majority of the places we went to were places I've never heard of before, but certainly will now be on my list of the most beautiful places I've ever visited. 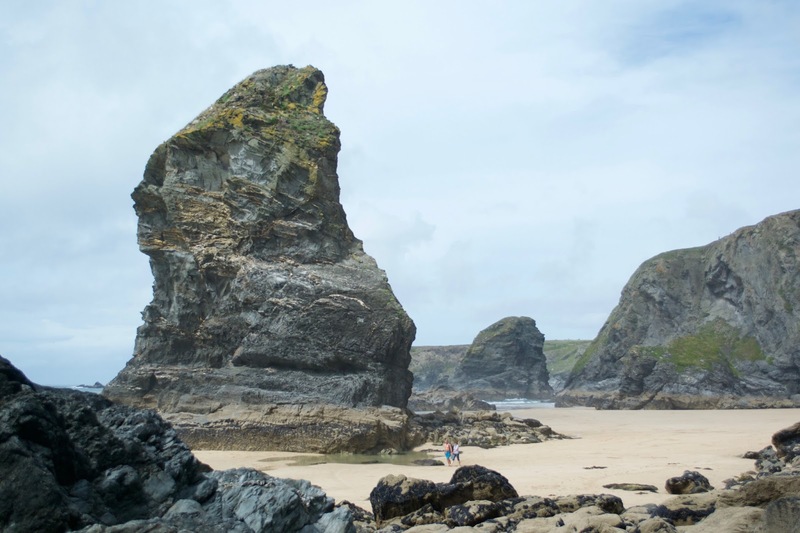 - As the drive to Cornwall seemed long, we decided to take the 3 1/2 hours train ride from London to Plymouth and then hired a car from there. 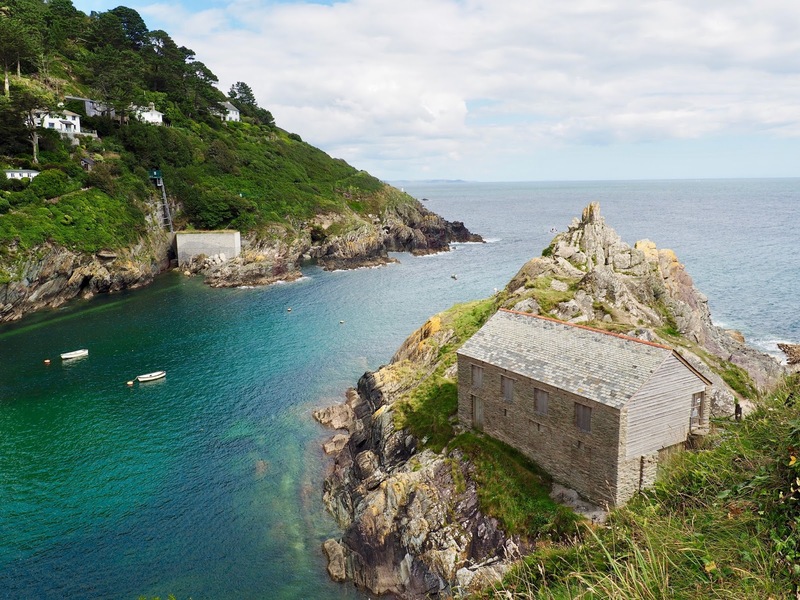 Our first destination was Polperro, a quaint fishing village almost an hour drive away from Plymouth. We parked our car on top of a hill and enjoyed an idyllic 15-minute walk to the village. We walked through narrow and winding streets, and passed by small shops and white cottages with colourful hanging flower baskets. I had to remind myself that I was in England and not in Greece. Polperro is a truly picturesque little village. After my first Cornish cream tea (of this trip)at Bean & Scone, and J's Cornish pasty at the shop next door, we headed to our next destination - The Lost Gardens of Heligan in St Austell. To be honest, we didn't explore the garden enough to even say whether the £14 entrance was worth it. All we saw was basically hanging mirrors and lamp shades. We even almost missed "the head of the giant" which, despite being located just at the side of the entrance, wasn't easy to find. So, after our brief tour of the garden, we decided to drive to our hotel in Mitchell, 20 minutes away from Pentewan. - I'm not normally keen on accommodations attached to a pub, but The Plume of Feathers exceeded all my expectations: very clean and spacious room away from the pub, free-standing bath tub, rain shower and beautiful garden view. Highly recommended. - We didn't even bother looking for nearby restaurants anymore because The Plume of Feathers looked so inviting. The food and service was indeed good. I had the Monkish and Prawn Scampi with fries and salad (£12.50), while J had Chicken Supreme (£14.50). Then we had equally good breakfast at the conservatory the following morning. 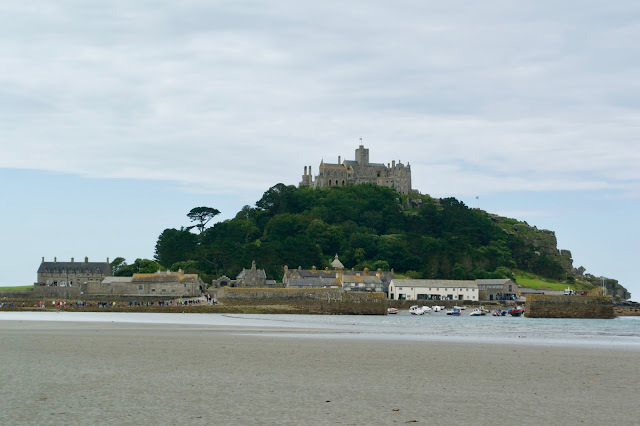 - We had a full itinerary on our second day in Cornwall, so we ensured to visit St Michael's Mount first to beat the high tide and well, the flock of tourists. I have been here once before but I didn't go up to the castle. The castle is full of fascinating stories, from the appearance of Archangel St Michael to a giant's stone heart that you can still apparently hear beating if you listen close enough. 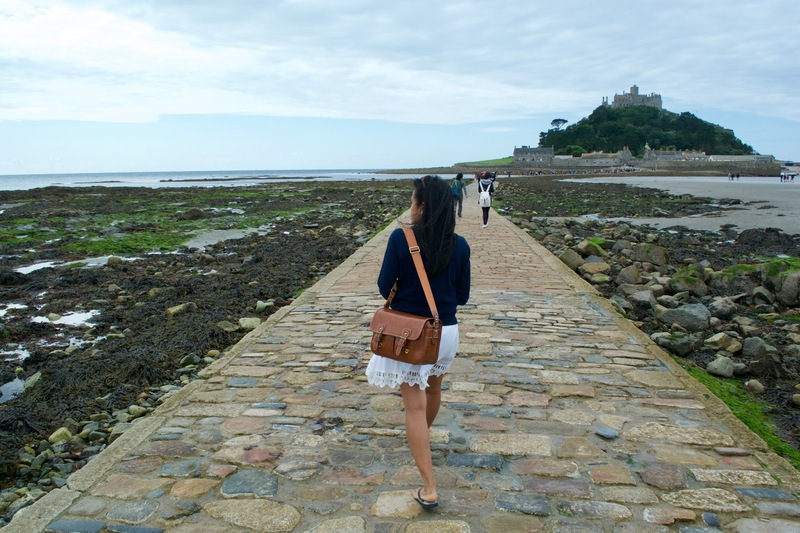 As touristy as it is, St Michael's Mount remains one of the best places in Cornwall that anyone should visit. 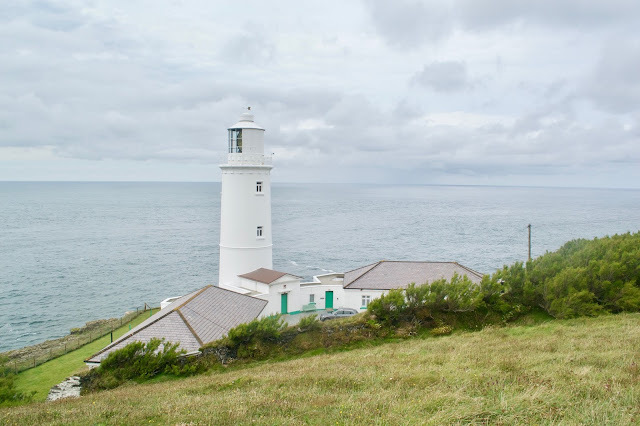 For £9.50, you get more than what your money's worth, with its rich history and stunning views. 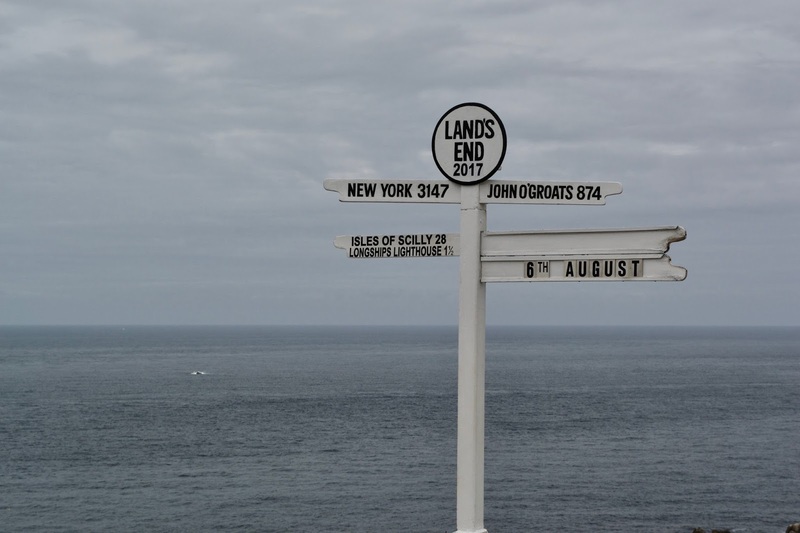 Then we were off to Land's End- the southwestern-most part of England. Er, sad to say that apart from my photoshoot in the flower fields, I didn't enjoy my trip here. It was far too busy. Honestly, it's a tourist trap and I feel that the only thing special about this place is the fact that it's the "end" of England. I suppose that's enough reason to visit the place, hey? 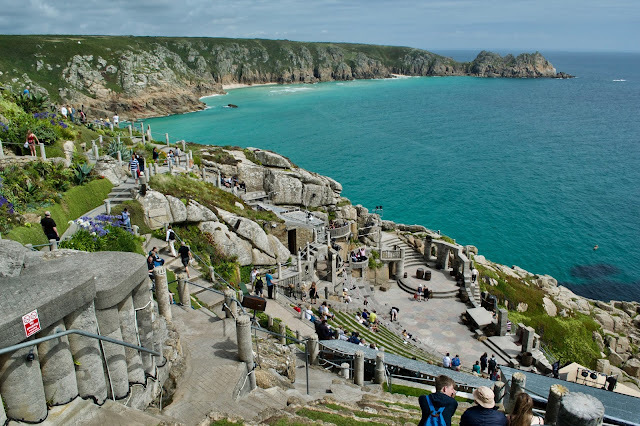 Contrary to the underwhelming experience at Land's End, our next destination- the Minack Theatre was incredibly stunning. This open-theatre was built by a lady named Rowena Cade in the 1930s and it is still in use up to this day. You don't necessarily need to watch any shows though. 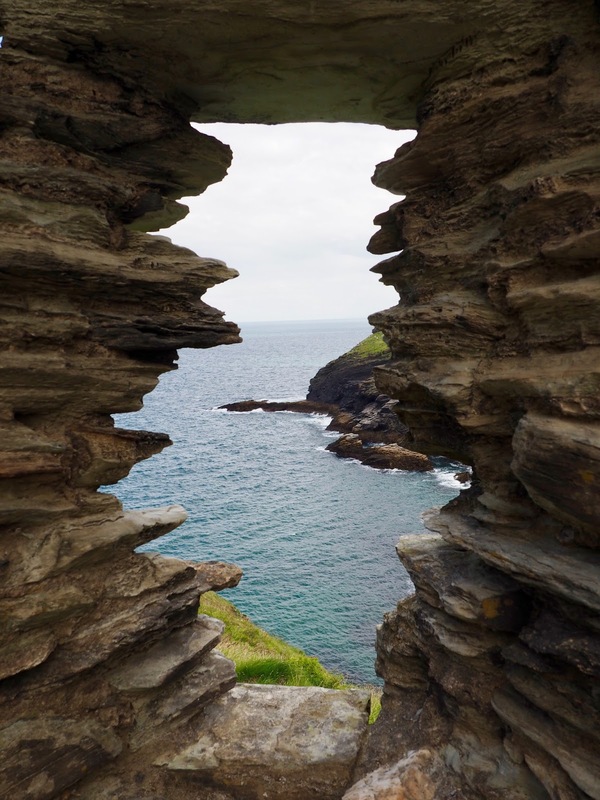 For a mere £5, you have the liberty to enjoy the very impressive architecture and spectacular views. This is a kind of place you would only think of seeing in countries like Greece or Italy, and not England. The theatre is set on top of a cliff overlooking the turquoise water of Porthcurno Bay. No matter where you're coming from in Cornwall, this place is worth the drive. It is simply breathtaking. It only took us about three hours to see everything that we wanted to see that day. At just after 3pm, we've ran out of ideas where to go. 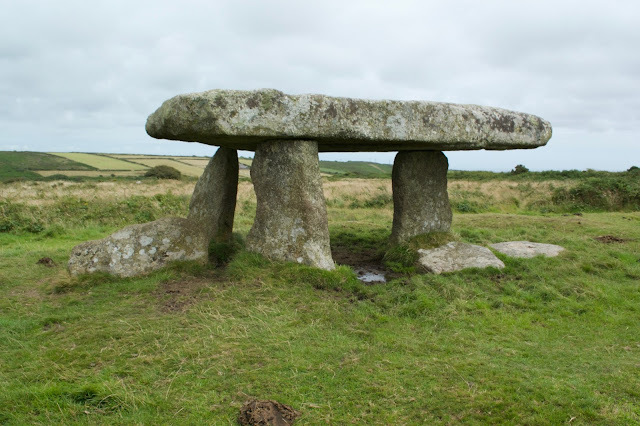 J came across this stonehenge-ish place in his google search and so we drove about half an hour to Madron in Penzance to find the "Lanyon Quoit". The monument is tucked away in the middle of nowhere and is not very visible from the road. We only found it because I saw a couple sitting atop the rock. 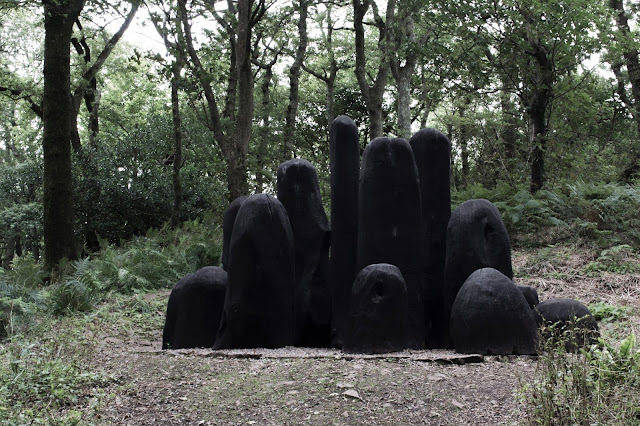 We then drove off to Gulval to check on Tremenheere Sculpture Gradens. They have some interesting sculptures there I must say. By the time we finished exploring the area, we were feeling a bit tired so we drove back to Penzance where we would stay the night. - The hotel has certificate of excellence and good reviews on tripadvisor but we were certainly not impressed. The room looked old and tired. Besides, there was this smell of I don't know, something old that won't go away. I had to ask for an air freshener to get rid of the smell. Our room had the view of the harbour, but even that won't convince me to go back again. The original plan was to have dinner at Ben's Cornish Kitchen but it was closed on a Sunday so we ended up at The Admiral Benbow, a historic pub located in the city centre. We were dumped right at the back of the pub and waited for almost 45 minutes for someone to take our order. I was feeling claustrophobic in that little corner and if it wasn't Sunday, I would have walked out. Then the food finally came. J ordered the fish of the day (and chips) for £12.25 and I had the baked chorizo cod (£12.25)- both mediocre. Honestly, it wasn't worth the long wait. We ended up having dessert at The Bay Restaurant attached to our hotel. We should have gone there in the first place, but we wanted to experience a bit of Penzance. We ended up being disappointed. 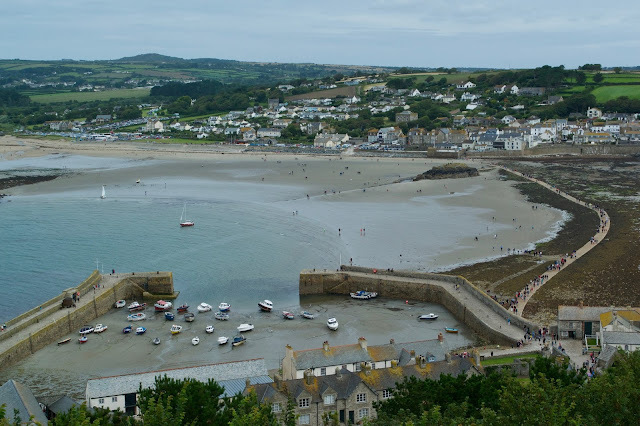 - I have forgotten how busy St Ives can be so when we arrived just before lunch, there was nowhere to park. We spent half an hour driving round and round trying to look for parking but we were unsuccessful. Irritated, but not totally disappointed, we decided to give St Ives a miss and drove straight to Carnewas and Bethruthan Steps. Carnewas and Bethruthan Steps was quite dramatic. 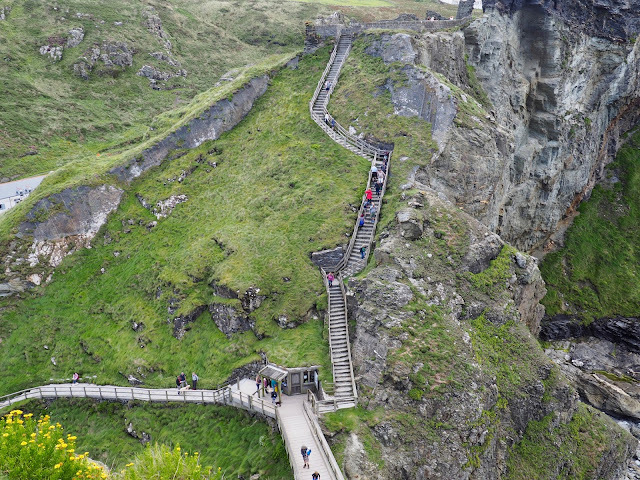 I thought I have overcome my fear of heights but going up and down the narrow 140+ steps was terrifying, especially because it was wet and sandy. But in the end, it was worth it. The coast was beautiful and the outcrops were amazing. It was low tide so we were able to go around and climb the rocks, and even passed through a cave. However, it wasn't long until the tide came rushing in and we got caught to say the least. 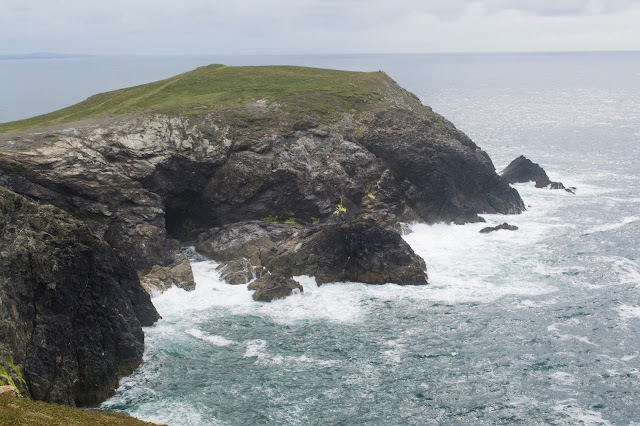 We spent a good hour exploring the beach then we headed to Trevose Head Lighthouse towards Padstow. Then came the biggest surprise of our trip- the B&B in Wadebridge. - Rick Stein's Cafe in Padstow certainly made up for the disappointing dining experience the night before. The food and service was great. For starters, we had Thai fish cakes for £6.95 and Mussels for £8.95. Both were tasty and the serving was almost the size of a main course. For mains, J had the Grilled Hake (£13.95) and I had the Vietnamese Pho (£11). An absolute fine dining experience. Overall, we loved Padstow and we would definitely go back if we have the chance. - There was only one place we wanted to see on our last day in Cornwall and that was the historic Tintagel Castle. In order to get to the ruins of the 13th century castle, we had to climb some 145 steep and narrow steps. Prior to that, we walked at least 10 minutes from the carpark to the ticket area. 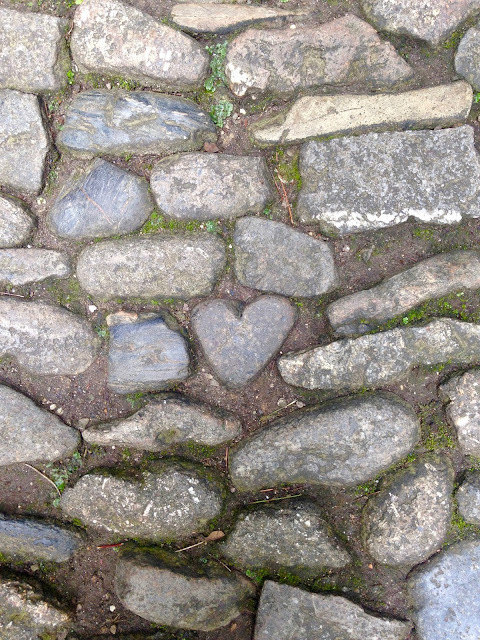 All in all, it was quite a challenging walk. But when we reached the top, we were rewarded with nothing but fantastic views. 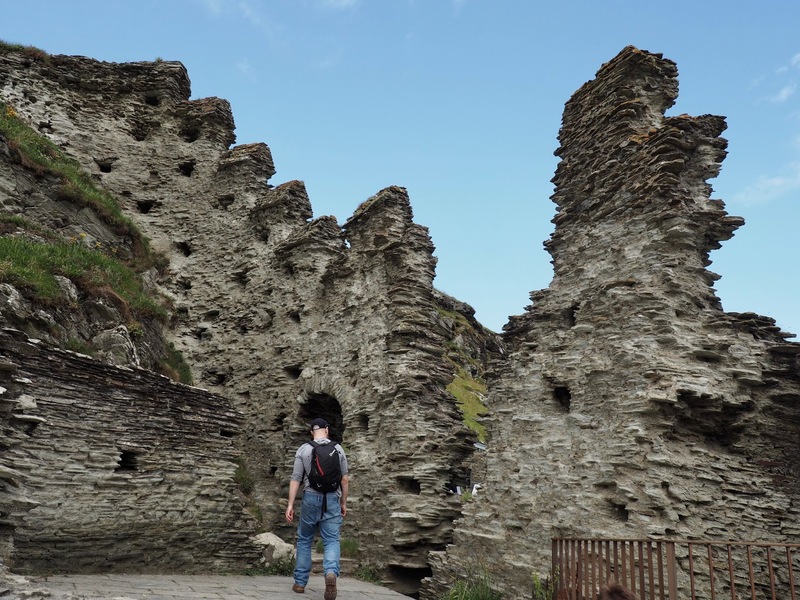 The castle ruins alone were fascinating. There was also a statue of King Arthur on the top of the cliff. 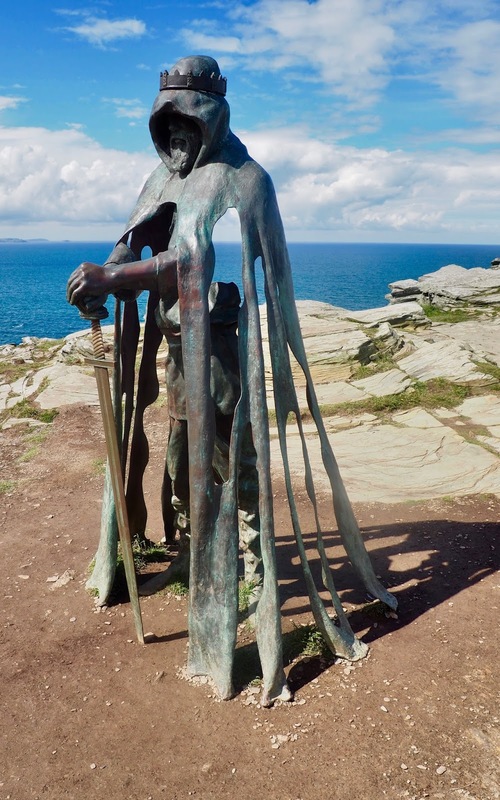 I know so little about King Arthur, but Tintagel castle is apparently where he was conceived. And that was the end of our Cornish adventure. During this trip, I realised that indeed, the greatest treasures are found right on our doorstep. I admit that I haven't explored England thoroughly and I know that there are so many beautiful places in this country that I still need to go to, but it's always been traveling abroad that satisfied the wanderlust in me. 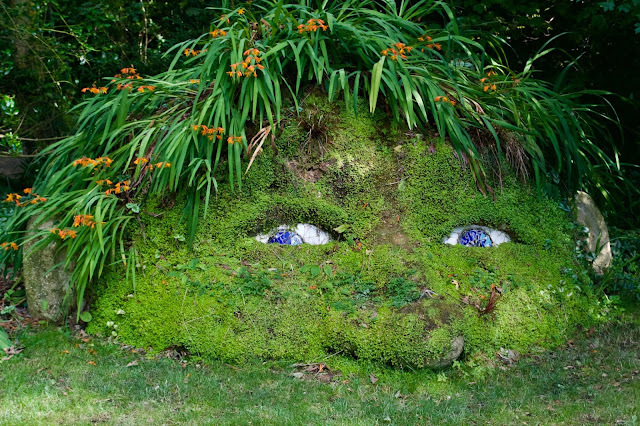 But after this trip to Cornwall, I know that I need not look that far anymore. Turquoise water, historic buildings and ruins, spectacular landscapes and sea-views, breathtaking mountains, beautiful narrow country roads, picturesque villages, stunning flower fields, relaxing romantic walks, fine dining experience, friendly locals with strange accents, moisturising rain (haha)- all of these and more can easily be found in England. And for this reason, I decided to stay in England for the rest of the year and start traveling abroad next year (hopefully).